Local corruption watchdog the Anti-Corruption Front yesterday wrote to President Maithripala Sirisena, urging him to ban former Central Bank Governor Arjuna Mahendran from attending meetings at the Ministry of Finance and continuing to influence the decisions of the Monetary Board. Former Governor Mahendran, who was deprived of a service extension after an investment firm linked to his son-in-law was alleged to have illegally profited from a controversial sale of Government bonds, regularly attends a meeting convened at the Ministry of Finance every Tuesday and Thursday which is also attended by the current Governor of the Central Bank, Dr. Indrajit Coomaraswamy, the ACF told the President. The Anti-Corruption Front claims that Mahendran, who is implicated in the Central Bank Bond scandal, currently acts as an “advisor to the Finance Ministry on the Central Bank”, a charge denied by Finance Minister Ravi Karunanayake. According to ACF’s letter to President Sirisena, the meeting is usually attended by the CBSL Governor Dr. Coomaraswamy, Treasury Secretary Dr. R.H.S. Samaratunga and advisor to the Ministry of National Policies and Economic Affairs R. Paskeralingam. Ex-Central Bank Governor Mahendran is also a regular attendee at these meetings, the ACF claimed. Mahendran “advises Coomaraswamy on decisions that should be taken by the Monetary Board,” the anti-corruption activists charged. At the last meeting held on 6 January at 11.00 a.m., ACF claims Mahendran had advised Dr. Coomaraswamy on decisions that should be taken by the Monetary Board, in violation of the Banking Act. “Your Excellency, if Mahendran is still in a position to advise and influence the Monetary Board, the people of Sri Lanka will surely think that the Special Presidential Commission of Inquiry which you will appoint will be another ploy to buy time,” said the ACF letter signed by the group’s Chairman Ven. Ulapone Sumangala Thera and Advisor Rajith Keerthi Tennakoon. Minister Karunanayake dismissed the claims, saying Mahendran was not an advisor to the Finance Ministry. The former Governor was a representative of the Prime Minister’s Office, who attended certain meetings at the Finance Ministry when requested, he added. Minister Karunanayake charged, adding that the perception that the former Governor was guilty was being constructed by the media. Minister Karunanayake also took a swipe at the Auditor General, saying he had been quick to investigate the 2015 Bond scandal but had failed to probe similar transactions at the Central Bank over six preceding years. The Finance Minister also claimed that despite the bluster by the media and anti-corruption groups, the loss to the Government from the controversial Central Bank bond transaction was yet to be proven. “Everyone is on a voyage of discovery,” he charged. However, economists, regulatory experts and the Auditor General of Sri Lanka have put the cumulative Government losses from the February-March 2015 bond transactions in the range of about Rs. 1.5 billion. The Monetary Board yesterday issued a statement on measures taken with respect to the Employees’ Provident Fund. It said an internal examination is currently underway under the direction of the Monetary Board on transactions of EPF in Government securities during 2015 and 2016. The law enforcement authorities have also been requested to carry out an external independent investigation into the issuance of Government securities in 2015 and 2016 and related matters, as it involves examining internal operations carried out by the staff of the Central Bank. With regard to the operations of the EPF, the Monetary Board, during the past six months, has taken several measures to strengthen the decision making process with respect to investments. These serve to safeguard the interests of the members of the EPF. The Monetary Board issued the statement in response to several media reports recently raising concerns with respect to the Employees’ Provident Fund (EPF). The long-awaited parliamentary debate on a damning report by the Committee on Public Enterprises (COPE) on the Central Bank Treasury bond scandal is set to take place today. 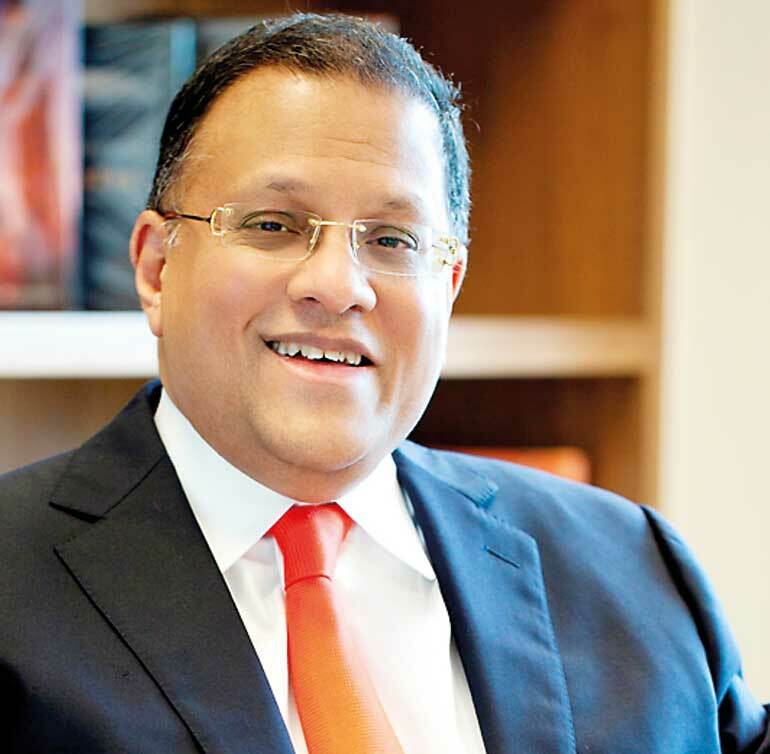 Following an 18-month investigation into the Central Bank’s Treasury bond auctions, the COPE report released on 28 October 2016 held former Governor Arjuna Mahendran “directly responsible” for a transaction in February 2015 that allowed a company linked to his son-in-law to rake in large profits from the auction. The petition against this report has been filed by Chief Incumbent of the Nalandaaramaya temple in Kotte, Thiniyawala Palitha Thera. The Buddhist monk is an appointee of the Finance Ministry to the board of Lanka Hospitals. The monk claims that his fundamental rights are being infringed by the prejudice created by the contents of the report. Under normal circumstances, when an issue - in this case the COPE report - is under judicial consideration, it would be sub judice or prohibited from being discussed publicly elsewhere. However, it was not clear if usual sub judice rules will apply to the debate on the COPE report on CBSL bonds because COPE is a parliamentary oversight committee that reports exclusively to the Parliament of Sri Lanka. The question is likely to come up during the debate, which could also call for a determination from the Speaker on the supremacy of Parliament, Daily FT learns. In any event, Parliament has not received notification from the Supreme Court regarding the case filed on the COPE report so far, highly placed sources told Daily FT. The JVP yesterday said the filling of a petition in the Supreme Court challenging the COPE report on the bond issue was an attempt by the Government to scuttle today’s ‘s parliamentary debate on the COPE report. “Minister (Lakshman) Kiriella will stand up as the debate is about to start and tell the Speaker that it cannot be taken up for debate as there is a court case pending. 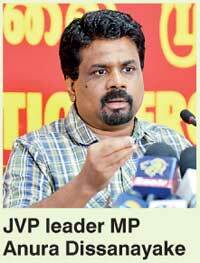 This is the intention of filling this case just days before the debate,” JVP leader MP Anura Dissanayake told journalists. The Standing Orders of Parliament prohibit debate of matters under adjudication by a court of law or matters on which a judicial decision is pending but the Speaker usually rules on whether to allow such debates to go heard or not. The JVP leader also said the appointment of a Special Presidential Commission (SPC) by President Maithripala Sirisena to probe the controversial Central Bank Treasury bond issue was akin to closing the stable door after the horse had bolted but said it welcomed the move. “It’s a little late but we welcome it,” he said.